BOS Brands, maker of ready-to-drink organic rooibos iced teas, has been expanding rapidly and gaining distribution in its first year since launching in the US in early 2018. 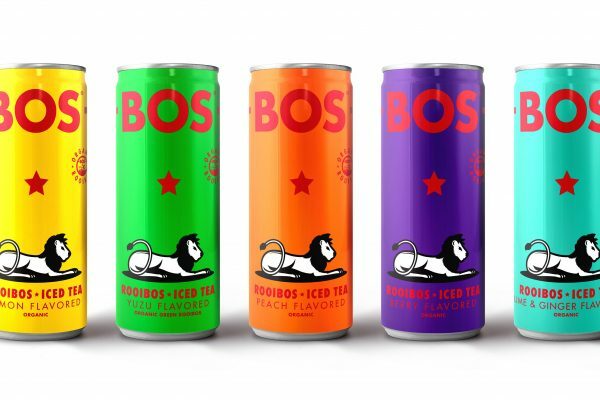 The South-African born, multinational company debuted its superfood-based beverage, BOS Iced Tea, in the US in 1Q 2018 with five flavours: Berry, Lemon, Yuzu, Ginger & Lime and Peach. Since March, BOS has expanded availability and its mission of healthy fun through strategic product seeding and retail initiatives that have proven successful in driving on-shelf velocities, while bolstering its US-based executive, sales and marketing teams. BOS showcased its rooibos superfood iced teas at the Winter Fancy Food Show (WFFS) in San Francisco, California, 13-15 January. BOS Brands established a foothold in California and the Pacific Northwest, securing shelf space in Whole Foods, Jimbo’s, Nugget Market, Erewhon Natural Foods, New Seasons, Oliver’s and more. It has also been accepted in the coolers of Silicon Valley with product available in many major corporate complexes. This year, BOS will focus on seeding, trial and awareness in millennial hot spots, and cold case distribution at specialty retail and cafés on the West Coast. Several expanded retail distribution announcements and new product runs are already scheduled for the first two quarters of the year. Led by Moss, who previously served as director of national accounts for Dr Pepper Snapple Group, the US-based team at BOS has grown tenfold since the brands’ initial launch. Based in Boulder, Colorado because of the heavy natural food presence there, the BOS USA team has since added offices in Los Angeles and San Diego, California and will continue to grow throughout 2019 and is expected to add another five positions by the end of Q1, laddering up into a larger multinational presence with executives in Amsterdam, Paris, and Cape Town. Founded in 2009 in Cape Town, BOS Brands harnesses the benefits of rooibos – a unique South African superfood – to create a ready-to-drink range of organic iced teas. Blended with all-natural fruit flavours and delivered in bright, bold colorful packaging, BOS Iced Teas give fun a new flavour. The brand’s marketing activities are inspired by the South African expression “Go BOS,” which means to go crazy in a fun way; and this approach is at the heart of the BOS experience. BOS’ rooibos tea is farmed ethically on Klipopmekaar – a private nature reserve high up in the Cederberg Mountains in South Africa – a pristine wilderness and the only place on the planet where rooibos grows. Giving back to its roots, BOS plants and maintains one tree for every 2,000 cans sold. To date it’s planted over 20,000 trees in underprivileged areas of South Africa and is well on the way to achieving the brand’s goal of planting 50,000 trees by 2020. For more information, please visit http://www.bosbrands.com/en.